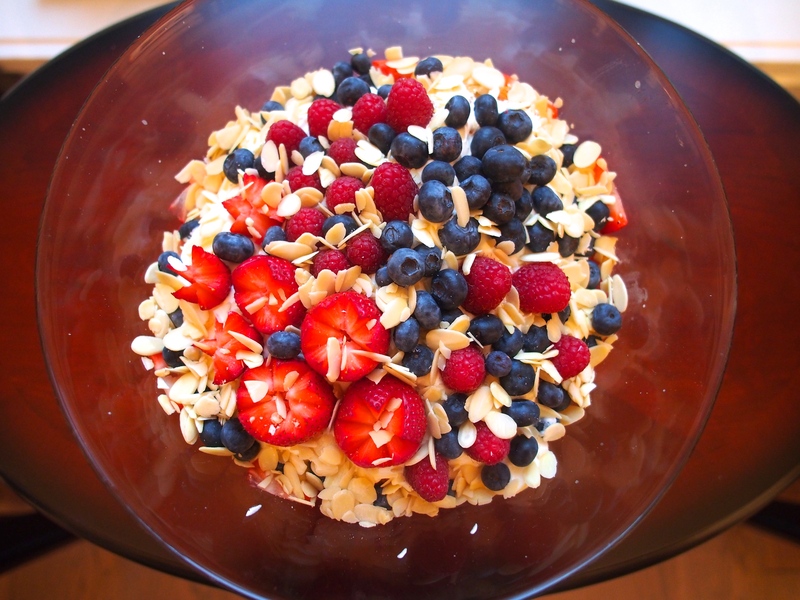 This is a dessert that I love making every time I am back in Vancouver because it is so simple, pretty, and delicious. 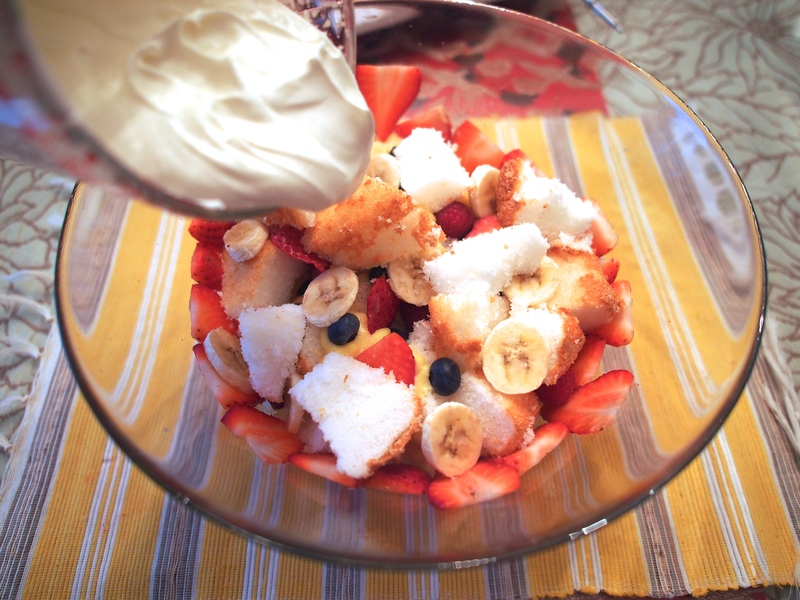 The berries are colourful and tart, the bananas give a creamy sweetness, and the angel cake is light; all are layered between pudding and freshly whipped cream and topped with delicate almond flakes. 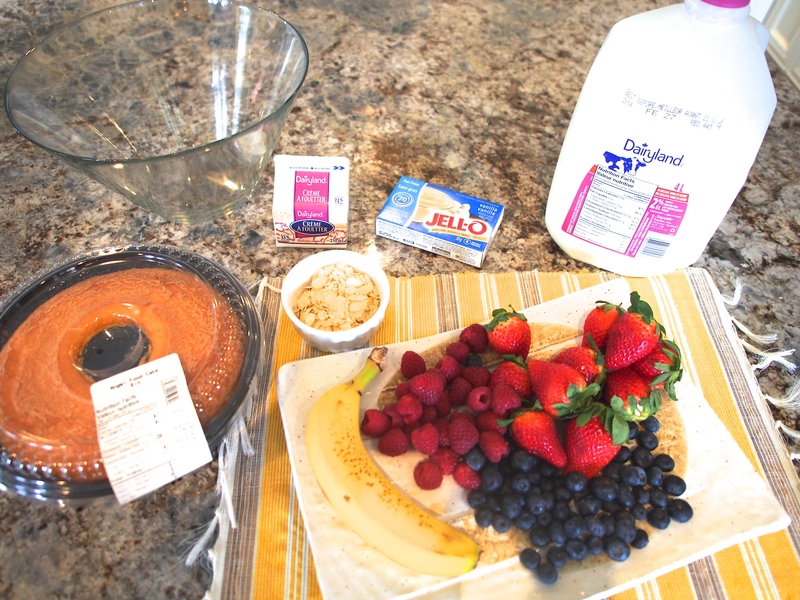 I’ve been making this for years because it is the perfect last minute dessert for parties and looks like it took a lot more effort than it really did! 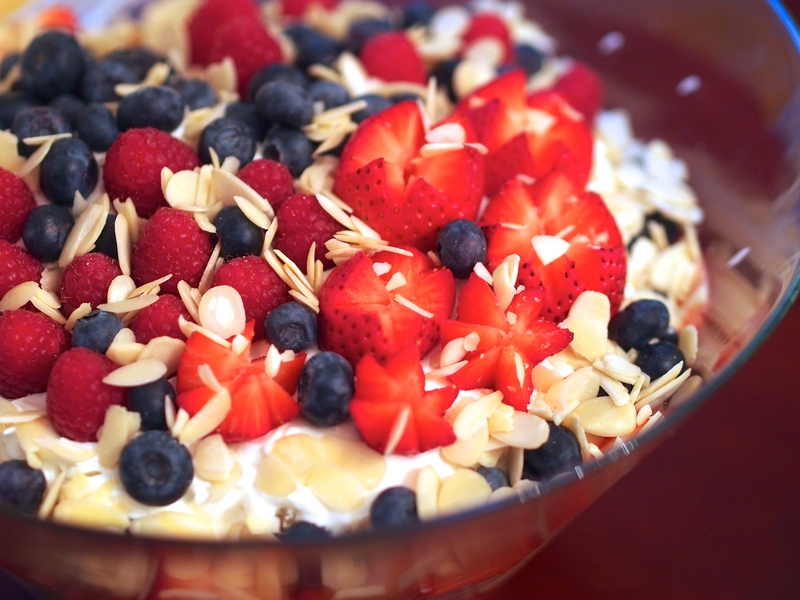 Plus, it’s a great way to incorporate fresh summer berries into your dessert! 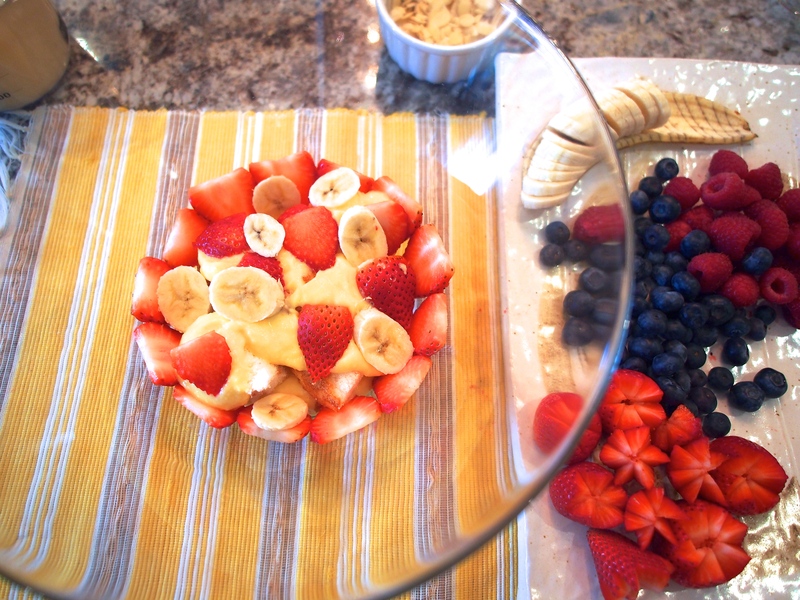 In fact, you could get really creative and use any of your favourite fruits! How about fresh mangos, digestive biscuit crumbs, whipped coconut milk, and a sprinkle of dark chocolate flakes and toasted coconut shreds? Let your imagination flow! 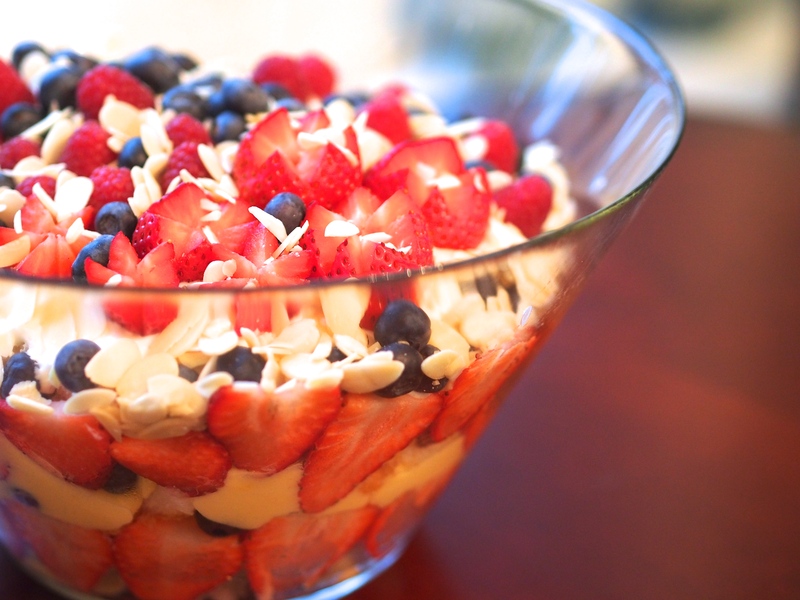 The only important thing is to use a glass bowl so you can see all the yumminess inside! 1. Use half the strawberries to make pretty little florets for decoration: carve a zig-zag line around the middle of the strawberry, all the way to the core so that you can easily pull it apart. 2. 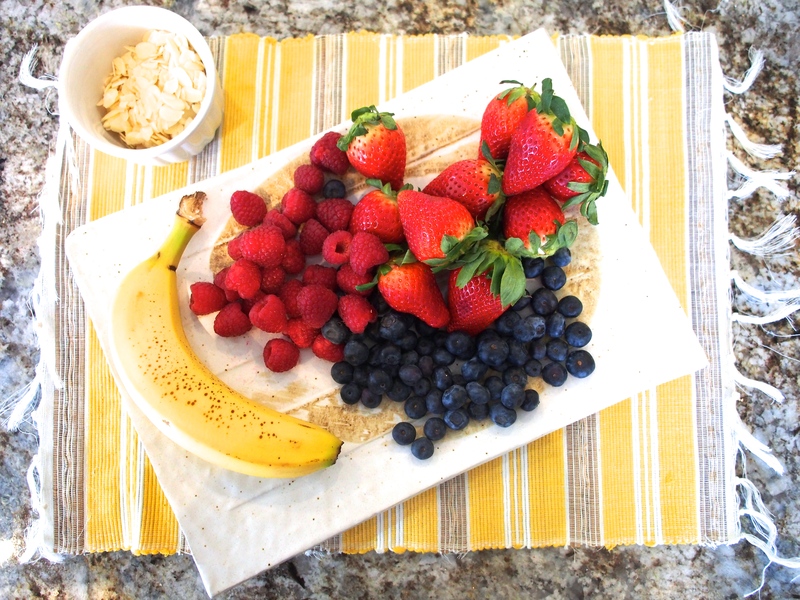 Slice the rest of the strawberries and bananas thinly. 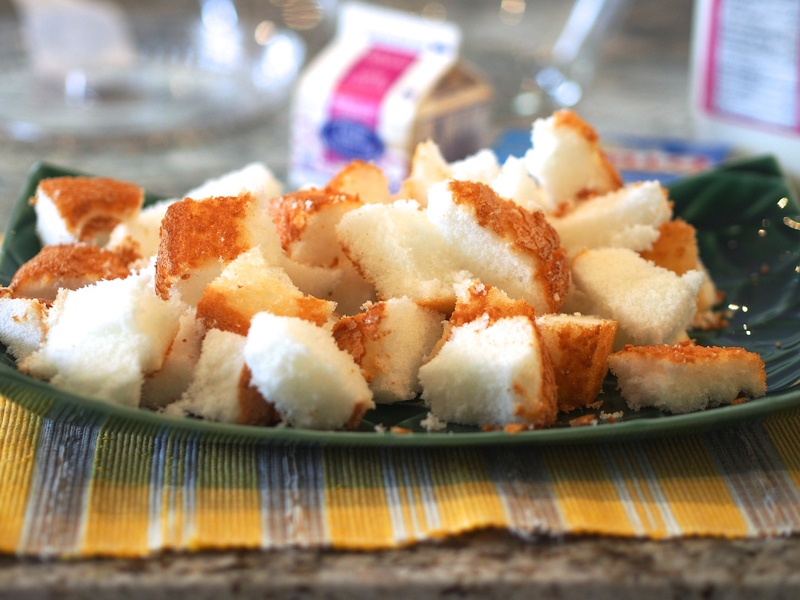 Slice the angel cake into one-inch pieces. *do not use those aerosol cans of whipped cream- they’re nowhere as good as freshly whipped! 6. 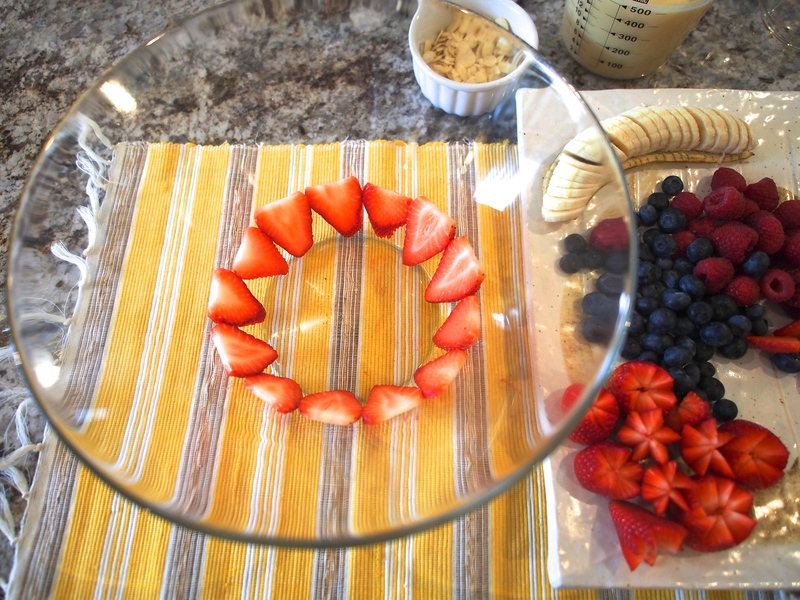 Lastly, decorate the top with the strawberry florets, remaining fruits, and almonds. *It tastes even better after being chilled in the fridge overnight when the sponge has time to soak up the pudding! That’s it, super simple but really moist and delicious. I hope you enjoy and as always, please do send me a photo if you ever try this! I also want to say thank you so much everyone who reads this blog, it means so much to me! I love y’all so much! Stay in love with life and keep on cooking! Coming soon: home made almond milk!